The Center Harbor Inn sits on the northwest shores of Lake Winnipesaukee, in the quiet village of Center Harbor. 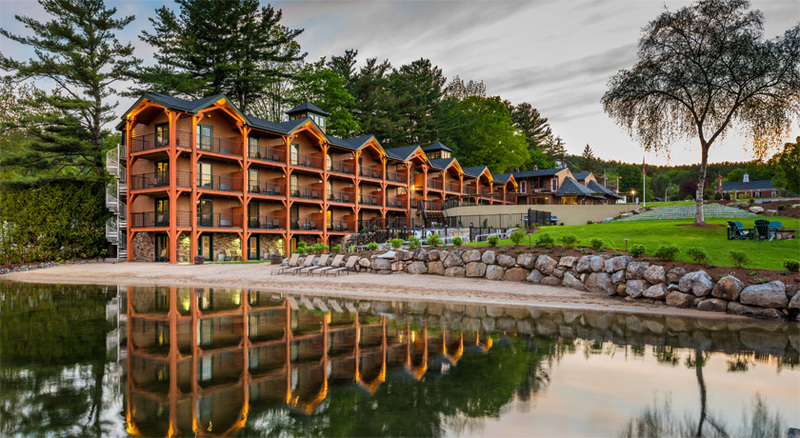 With 16 dock slips, 8 moorings and a beautiful sandy beach nestled on the shores of the harbor, the Inn offers the perfect setting to experience an authentic Lake Winnipesaukee getaway. Our boutique amenities include a fitness center, warming sauna and a 4-season outdoor hot tub overlooking the lake. Most rooms come equipped with a deck overlooking views of the lake or nearby mountains. Leave the hustle of the city behind in exchange for peace, tranquility, and fresh air of the country, while staying close to area attractions such as Weirs Beach, Mt. Washington, and other New Hampshire hotspots. 14 day notice required ($25 fee). Within 14 days (full rate). All prices in this rate card are subject to 9% NH Room Tax. In order to guarantee reservations, a Deposit of 50% of total stay is required. Check-In time is no sooner than 3:00 p.m. Check Out time is 11:00 a.m. Deviations from standard check-out time must be arranged in advance.